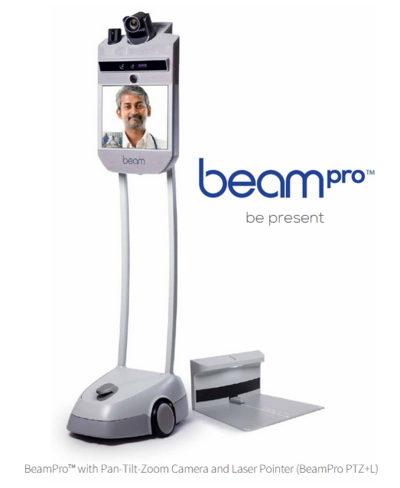 ORLANDO, Fla.--(BUSINESS WIRE)--Suitable Technologies®, Inc., creator of the Beam® and BeamProTM presence systems that are used by more than 40% of the Fortune 50 companies, today introduced two new models to the BeamPro family: the BeamPro PTZ and BeamPro PTZ+L, providing a more professional videoconferencing solution for the healthcare industry. 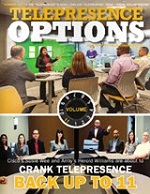 "While many teleconference options exist today, none are specifically designed with the freedom for the user to move around in a remote place anywhere in the world, at any time, without latency or connectivity issues," said Bo Preising, Chief Strategy and Product Officer, Suitable Technologies. "For healthcare providers, this ability has massive implications for improving collaboration, while saving time between patient visits, as well as decreasing patient wait times. The result is better and faster clinical and financial outcomes." With superzoom-supported video conferencing, the new BeamPro models ensure optimized face-to-face contact with patients and clinicians. The pan-tilt-zoom camera and eye-safe laser pointer with 3D camera-assisted tracking facilitate accurate observation, capture and recall of details necessary to serve patients and trainees. Preset points can be used to allow a more natural way to communicate. Both new models of BeamPro allow medical professionals to effectively collaborate with specialists, serve geographically dispersed patients or train out-of-town colleagues, while eliminating travel time and expenses. Further, professionals can easily perform personal follow-up to address the needs of patients and colleagues. The Beam management software allows Beam owners to manage access to all devices in their organizations, ensuring optimal levels of security. In addition, encrypted point-to-point communications bypass servers to ensure data transfer is private and secure. The current version of the BeamPro and the new PTZ+L. model is undergoing product evaluation with select health care providers. The new product line will be available for purchase later this year. More than 25 health care providers currently use Beams in urgent care, post-acute care and other traditional care settings. 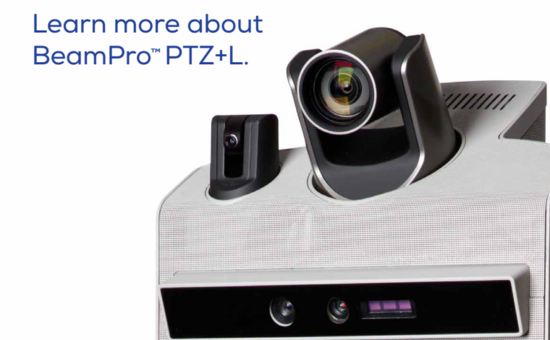 For more information, please see the BeamPro PTZ+L brochure. Health care providers interested in piloting the BeamPro PTZ+L may contact [email protected]. The Suitable Technologies Beam product family revolutionizes remote interaction by combining user-controlled device mobility with professional video conferencing for an immersive communication experience. The freedom to select their own path through an environment enables Beam users to be present and to interact naturally from anywhere in the world. Founded in 2011, Suitable Technologies designs and manufactures all Beam products at its headquarters in Palo Alto, California, USA. Follow @suitabletech on Twitter, like us on Facebook, follow us on Instagram, visit us at the Beam Store (world's first store managed by Beam pilots) - 425 University Avenue, Palo Alto, or contact us at www.suitabletech.com to learn more. 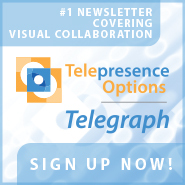 \"While many teleconference options exist today, none are specifically designed with the freedom for the user to move around in a remote place anywhere in the world, at any time, without latency or connectivity issues,\" said Bo Preising, Chief Strategy and Product Officer, Suitable Technologies. \"For healthcare providers, this ability has massive implications for improving collaboration, while saving time between patient visits, as well as decreasing patient wait times. The result is better and faster clinical and financial outcomes.\"